The DTET of the Ministry of Vocational and Technical Education is the government body that provides Sri Lankan youth with technological and technical education. Under the DTET, there are 9 Colleges of Technology and 29 Technical Colleges. These Colleges conduct approximately 86 vocational training programmes among which Engineering courses are predominant. The minimum entry qualification of these programmes is 6 GCE (O/L) passes. 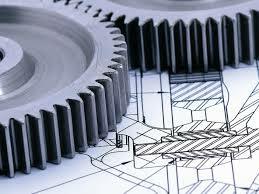 The following National Certificate programmes are only a small fraction of Engineering courses, offered by the DTET. In fact, these Training Programmes basically have seven levels. Completion of level 1 to 4 means the completion of National Certificate. After completing level 5 and 6, students gain a National Diploma. In fact the level 7 is equivalent to a Bachelors degree.